I was Delivery Manager on the Find Pension Contact Details service, which is now Live. That puts me in a DWP club with two members, with Carer's Allowance Digital Service holding membership since 2014. We have 10 services in beta, so membership of the club is due to expand very soon. it’s properly transformational - volumes of usage are higher than for the old ‘form-and-clerical-service’ approach: on average, 1,200 a day for digital versus 800 a day via the legacy method, and volumes are growing. The opportunity is now there to make it a digital-only service, removing telephony except for assisted digital. The knowledge created in delivering this service could be a template for more services like it. I mean small-scale services delivering relatively simple transactions - they are perfect for the digital channel. I’d like to see a lot more of them so that we get fast and slick at delivering them, building our customer insight and strengthening digital presence at the same time. It’s a strategy that is (I’m told, I’m not an expert!) well-used in the private sector and is sometimes referred to as the 'long tail’. Many digital companies use the strategy: they build up digital presence by selling a large range of lower-demand items, which they can do cheaply via the internet. By so doing they engender a habit amongst customers to come to their channel which pays off when customers buy profit-making high sellers. In a government context, we don’t have the sales motive: our pay-off is offering the most efficient and easy-to-use service. 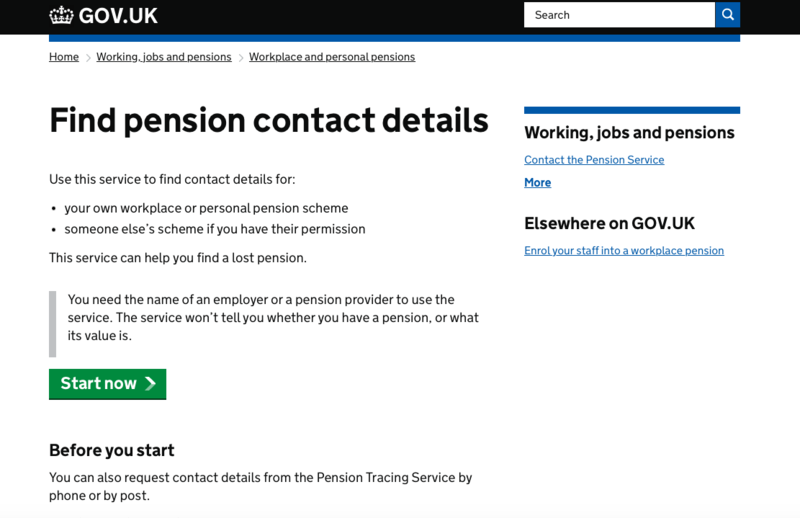 My point is that straightforward services like Find Pension Contact Details are strategically important, and become disproportionately important when they constitute a critical mass that tips people to that ‘digital-by-default’ behaviour. As with the ‘long tail' strategy, the smaller things give leverage to the big things. Don’t forget the smaller things! Technically, the service is relatively simple in DWP terms. 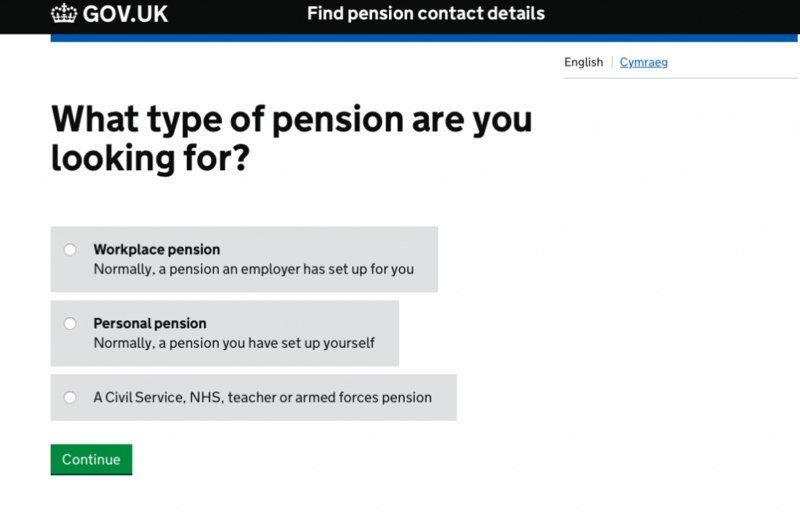 It’s data from the Pensions Regulator accessed through an API and interpreted via some pretty clever micro-services to enable the user to search for information they might have about their pension. 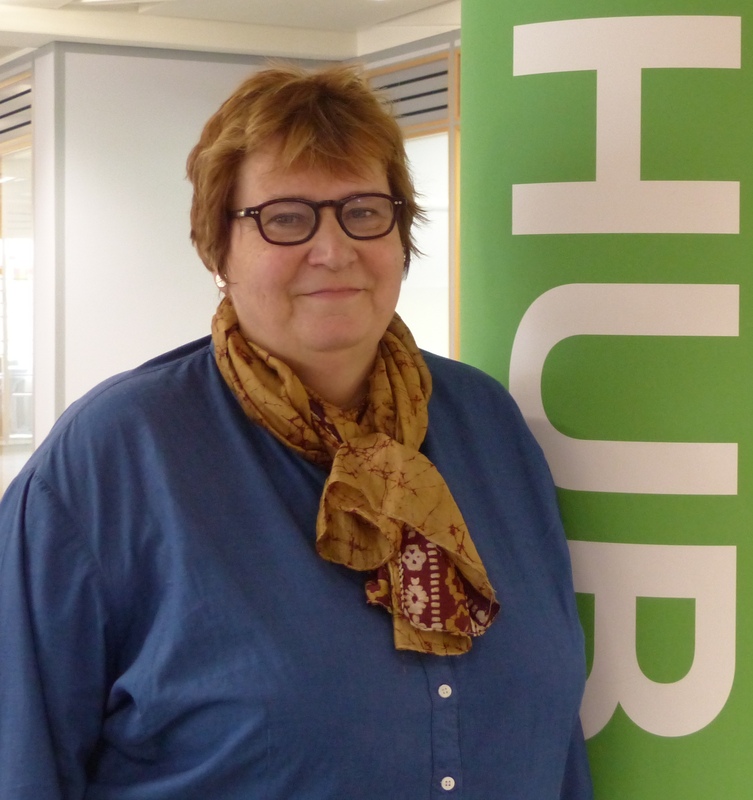 Our Operations colleagues use the service too, so that they can support users if necessary. The delivery complexity came in having to fight through many known unknowns on our way to Live, because we were one of the first down the path. For example, things like governance approvals and ‘change management’ in a world of continuous delivery. We also came upon unknown unknowns such as the detailed process for getting a new domain set up and interfaced with GOV.UK – things we thought we knew but realised we did not entirely when the time came. In Agile, the heart of our practice is the sprint. It is best if you sprint on a flat, straight track that removes all impediments to speed. The sort of track Find Pension Contact Details has been on has well-established root systems and plant growth trailing across it. The roots of old ways of working, traditional ways of thinking, of legacy processes and technologies all impinge. The core team were cohesive, inventive, resilient and professional but it sometimes seemed like they were running an obstacle race, not sprinting at all! It’s an organisational job – not just the Delivery Manager’s – to make sure we don’t invest in sprinters only to find they end up tripping and limping because we made them run through undergrowth. Environment is a major factor of performance – it isn’t the few but the many who create repeated, sustainable success. A club with two members is a bit dull by the way – I’m looking forward to some new joiners to the ‘Live Club’ soon! Congratulations, Kate, to you and the team. I was a bit involved in the early stages with you, and know just how much work and intense problem solving went into this success. It may be a "small" service, but it is making a real difference to our customers.